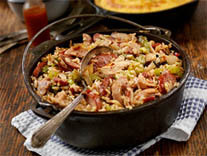 Carolina Pride smokies always save the day when you need a quick party or potluck dish. 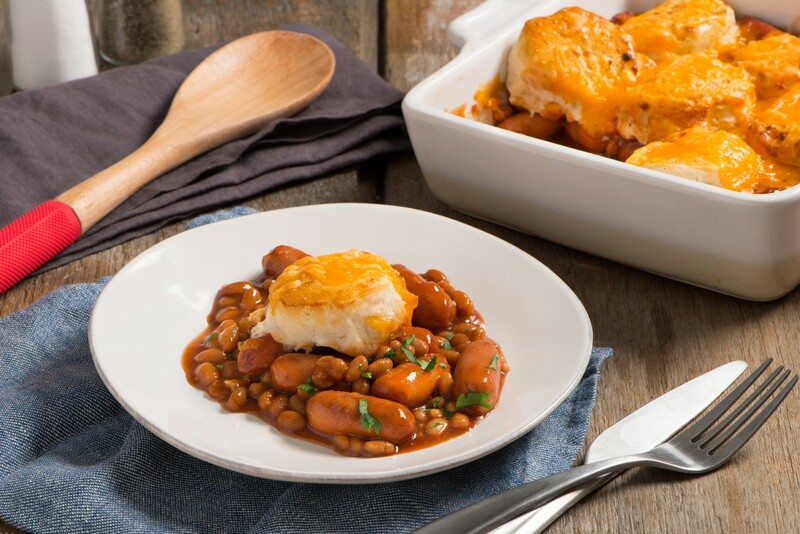 This recipe also features barbecue sauce, baked beans and cheddar cheese. In a 2-quart casserole dish, mix beans, smokies and bbq sauce. Cover casserole and bake at 350 degrees F for 35 to 40 minutes. Uncover and place biscuits cut side down around edge of casserole, sprinkle with cheese and return to oven for 12 to 15 minutes until biscuits are browned.